To celebrate the bicentenary of Karl Marx’s birthday this month, we present a Marx reading list for general readers, scholars, and students interested in Marxism, German Philosophy, and the history of social and political thoughts, including Karl Marx’s classics texts. Although Marx was born in the early nineteenth century, his theories and critique of capitalist bourgeois society remain dynamic and relevant for 21st century for their insights into politics and the problem of capitalism. 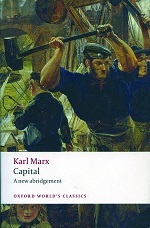 The many reinterpretations of Marx are a testament to his enduring appeal and the originality of his ideas and vision. Capital combines vivid historical detail with a bitter denunciation of mid-Victorian capitalist society. It remains the most influential work in social science in the twentieth century. Co-written by Karl Marx and Friedrich Engels, The Communist Manifesto is one of the most influential pieces of political propaganda ever written. As a foundational text of the Marxist movement, it is a condensed account of the whole Marxist vision. 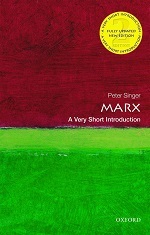 Peter Singer, one of the best-known philosophers of the twentieth century, offers a concise introduction to Karl Marx and his theories in plain English for non-specialists. He sees Marx as a philosopher primarily concerned with human freedom, rather than as an economist or a social scientist, and concludes with an assessment of Marx’s legacy. 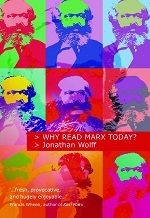 This fresh and provocative book reinstates Marx as an important current critic of current society and connects Marx’s main ideas with wider concerns about culture and society. 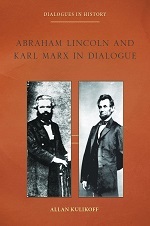 Abraham Lincoln and Karl Marx might appear strange bedfellows, the president and the intellectual revolutionary. Yet they shared an abiding interest in labour, labour relations, and slavery. This volume puts the two of them in dialogue, using linked, short passages from their writings, and thereby uncovers their agreements and disagreements about this fundamental issue. For anyone interested in exploring the moral implications of philosophical naturalism, this study argues that certain humanistic values, including belief in human rights and the inherent dignity and value of human persons as persons, are jeopardized by anti-religious forms of naturalism. 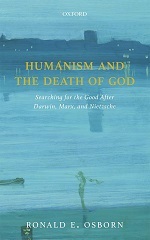 Osborn explores some of the most influential thinkers on anti-religious forms of naturalism: Darwin, Marx, and Nietzsche. 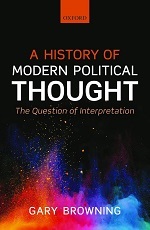 This book analyses the ways of interpreting modern political thought and interpretations of particular modern political thinkers. 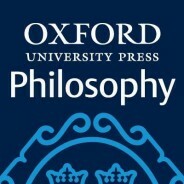 It also takes a look at prominent schemes of interpretation such as deconstruction, hermeneutics, and contextualism and provides a critical reading of how particular thinkers including Machiavelli, Hobbes, Locke, Hegel, Rousseau, Marx, Bentham, Mill, Nietzsche, and Beauvoir are interpreted in the light of these schemes. 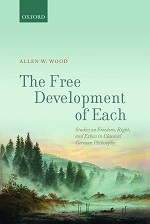 The Free Development of Each collects twelve essays on the history of German philosophy by Allen W. Wood, one of the leading scholars in the field. They explore moral philosophy, politics, society, and history in the works of Kant, Herder, Fichte, Hegel, and Marx, and share the basic theme of freedom, as it appears in morality and in politics. 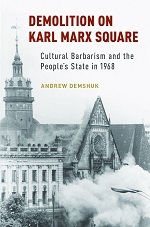 The 1968 demolition of Leipzig’s medieval University Church represents an essential turning point in relations between Communist authorities and the people they claimed to serve. The largest East German protest between the 1953 Uprising and 1989 Revolution, this intimate story clarifies how the “dictatorial” system operated and lost public belief. 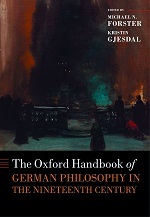 This volume constitutes the first collective critical study of German philosophy in the nineteenth century. A team of leading experts explore the influential figures associated with the period, including Hegel, Kierkegaard, Nietzsche, and Frege, and provide fresh accounts of the philosophical movements and key debates with which they engaged. 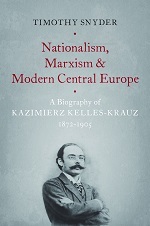 Timothy Snyder opens a new path in the understanding of modern nationalism and twentieth-century socialism by presenting the often overlooked life of Kazimierz Kelles-Krauz, an important Polish thinker at the beginning of the twentieth century. David Harvey is one of most famous Marxist intellectuals in the past half century, as well as one of the world’s most cited social scientists. Beginning in the early 1970s, with his trenchant and still-relevant book, Social Justice and the City, and through this day, Harvey has written numerous books and dozens of influential essays and articles on topics across issues in politics, culture, economics, and social justice. 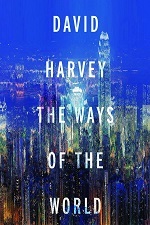 In The Ways of the World, Harvey has gathered his most important essays from the past four decades. 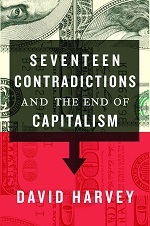 Accessible and timely explanation of how capitalism will self-destruct, as well as an original prediction of what the coming post-capitalist age will look like. Featured image: Karl Marx monument wall, Chemnitz by Daniel Teich. Public domain via Pixabay. Panumas King is a Marketing Executive at Oxford University Press, Oxford. The term Marxism derives its name from Karl Marx, who is the chief exponent of this theory. He was a famous German economist and social philosopher of the 19th century. Marxism comprises a set of ideas and practices about man and society that originated in the writings of Marx and Engels and later firmly developed by Lenin and Mao. But it is interesting to recall that this term “Marxism” was unknown in Marx’s lifetime. Another interesting fact is that four of Marx’s writings were written in collaboration with his comrade friend Friedrich Engels. 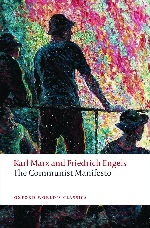 After Marx’s death, Engels edited and published some of his works as Marx’s discipline and worldview.